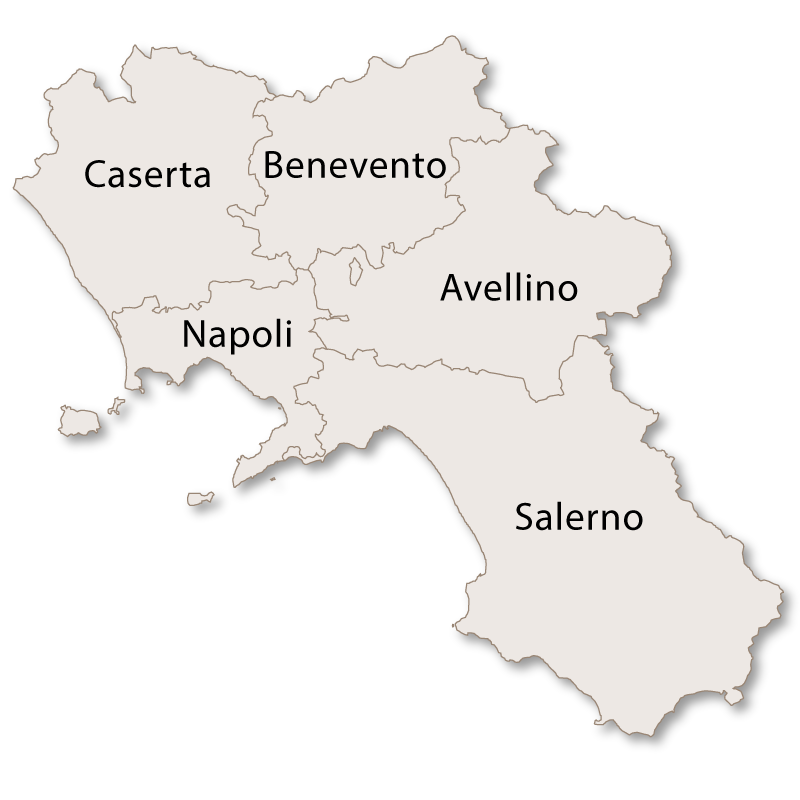 The province of Avellino has a total area of 2,792 square kilometres and it borders the provinces of Benevento to the north, Napoli to the west, Salerno to the south and the region of Puglia to the east. It is located in the centre of southern Italy and has no connection to the sea. 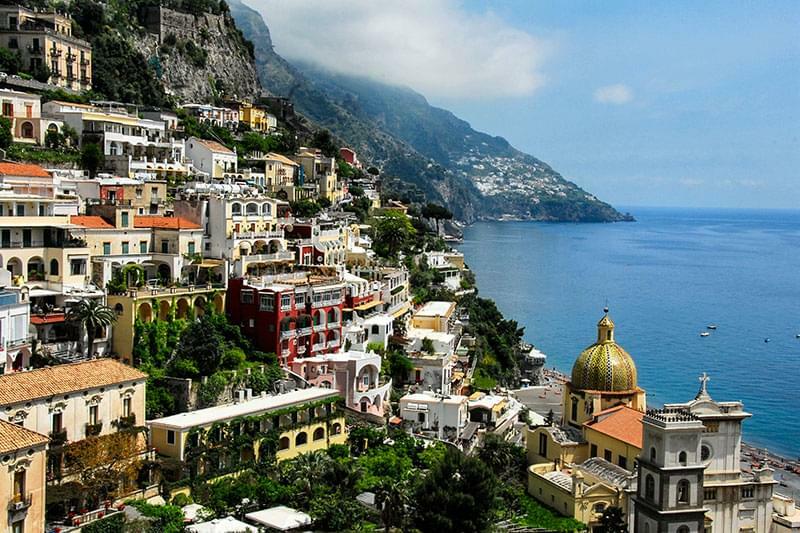 As with the rest of the region of Campania the scenery is stunning with green hills, forests, lakes, rivers, waterfalls and mountains all forming a dramatic backdrop. Towns and villages are nestled among the glorious scenery and almost all but the towns of Avellino and Ariano Irpino are small and sparsely populated. Two mountain ranges run through the province, Monti Picenti and Monti del Partenio run through the province of Avellino with the highest peak being Monte Avella at 1,598 metres. There are three natural parks in the province, the regional park of Partenio, the regional park of the Picenti mountians and the natural park of Vallo Lauro-Pizzo. These parks are paradise for nature lovers with stunning, natural scenery, trekking, horse riding, mountain biking as well as skiing in the winter months. The environment is perfect for wild animals, birds, reptiles and amphibians including the spectacled salamander, the fire salamander and the yellow-bellied toad. 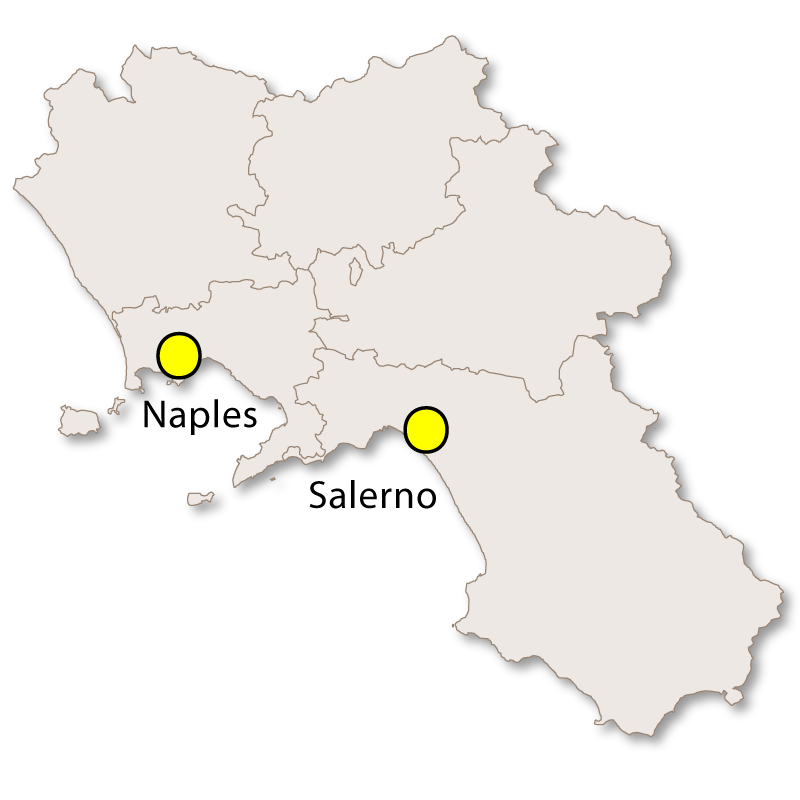 The region of Campania is very fertile and the province of Avellino is well known for growing hazelnuts and is responsible for one third of the whole Italian production. Chestnuts and cherries are also grown here, black truffles can be found and well known red wine Aglianico is produced. 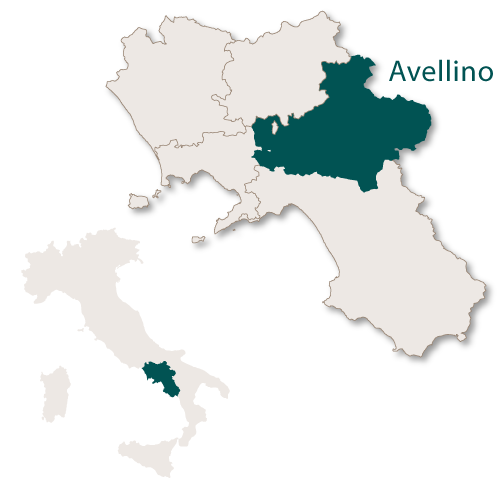 The town of Avellino is the capital of the province of Avellino in the Campania region of southern Italy. 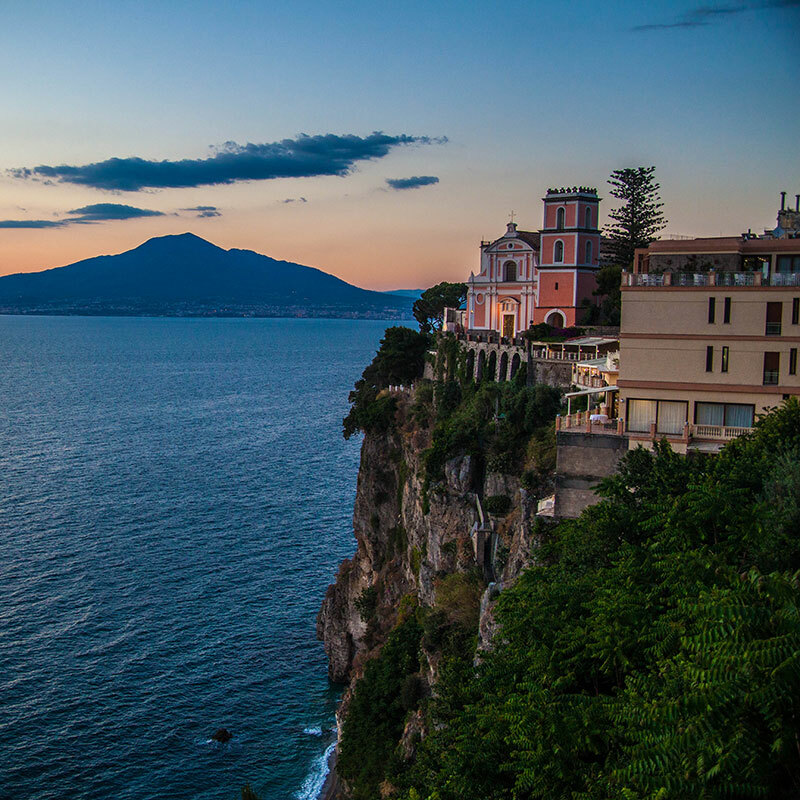 It is just over 40km northest of Naples and is set on a plain which is surrounded by mountains. It has suffered badly with seismic activity and was also heavily bombed in 1943. The biggest earthquake which struck the area was on 23rd November 1980 when a quake measuring 6.89 on the Richter Scale centred on the nearby village of Conza. Nearly 3,000 people were killed, 10,000 injured and 30,000 were left homeless. Large amounts of money were invested to help the displaced people and for the infrastructure of the area and also for economic expansion which eventually resulted in Avellino being wealthier than before. 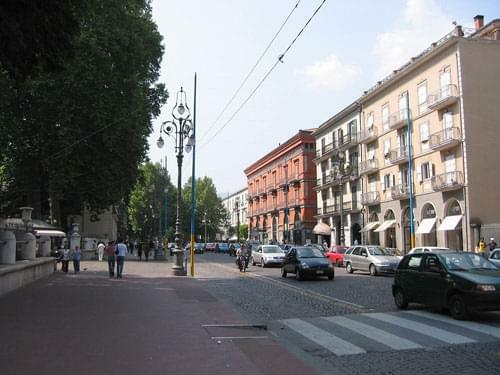 Avellino is now a prosperous and pleasant place to live and very popular with expats from both Great Britain and the United States of America. Agriculture was originally the main source of income, especially the production of hazelnuts which is still an important and thriving industry. Since the 1980 earthquake the economy has steadily grown, especially in the manufacturing sector where many small businesses have been set up creating a welcome rise in employment. In spite of all the destruction suffered by the town it has managed to maintain its original historic village atmosphere and the narrow streets lead to pleasant squares full of bars, restaurants and interesting buildings. The cathedral of Avellino has been rebuilt many times over the centuries. It has a Romanesque crypt and was built on the site of an affluent Roman villa from 129 BC. The church of Santa Maria delle Grazia and the Capuchin monastery were both built in 1580. In Piazza Amendola you can find the baroque Clock Tower which is 36 metres high and was built in the late 17th century. The 17th century Fountain of Bellerophon is in Corso Umberto. In Piazza Castello there are a few remains of a Lombard castle which was oddly built at the lowest level of the valley. European historians have not, as yet, managed to figure out why this was or what tactical advantage it could have once had. There are some remains of the Lombard castle in Piazza Castello (Castle Square). Because the castle was built at the base of a small valley, its tactical purpose continues to puzzle modern-day historians throughout Europe. 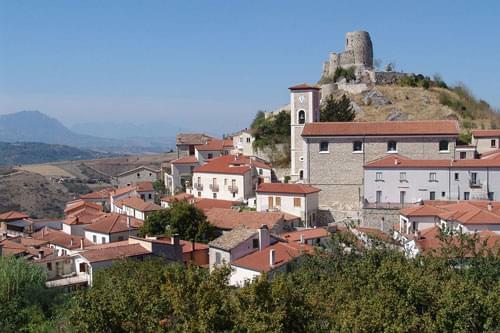 Situated in the centre of the land Ariano Irpino is almost exactly halfway between the Adriatic Sea and the Tyrrhenian Sea at 817 metres above sea level. The land in and around this pretty town is very fertile but due to several devasting earthquakes no buildings of any importance remain. Ariano Irpino is famous for its production of the tin-glazed pottery known as majolica. 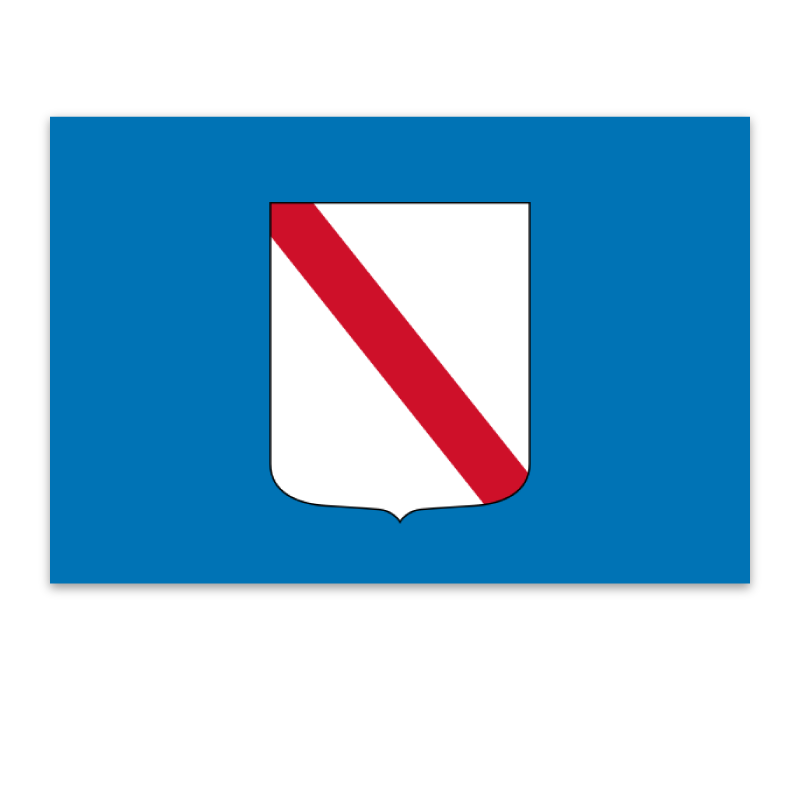 The first examples of it date back as far as the 13th century. The industry continues to thrive with more and more being produced each year. The pottery is fine with quite complicated shapes and intricate decoration. 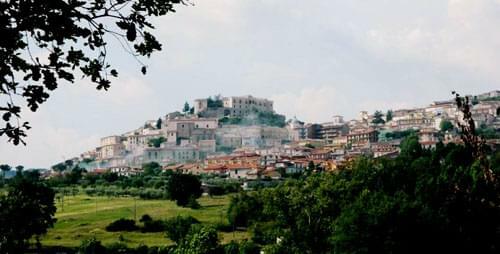 The remains of the old town of Avella can still be seen on a hill above the new, modern town. Within the old town it is possible, among the ruins, to see traces of several important buildings, including and amphitheatre and a temple. Near to the town is a good example of a Karst cave called Grotto of the Camerelle di Pianura. 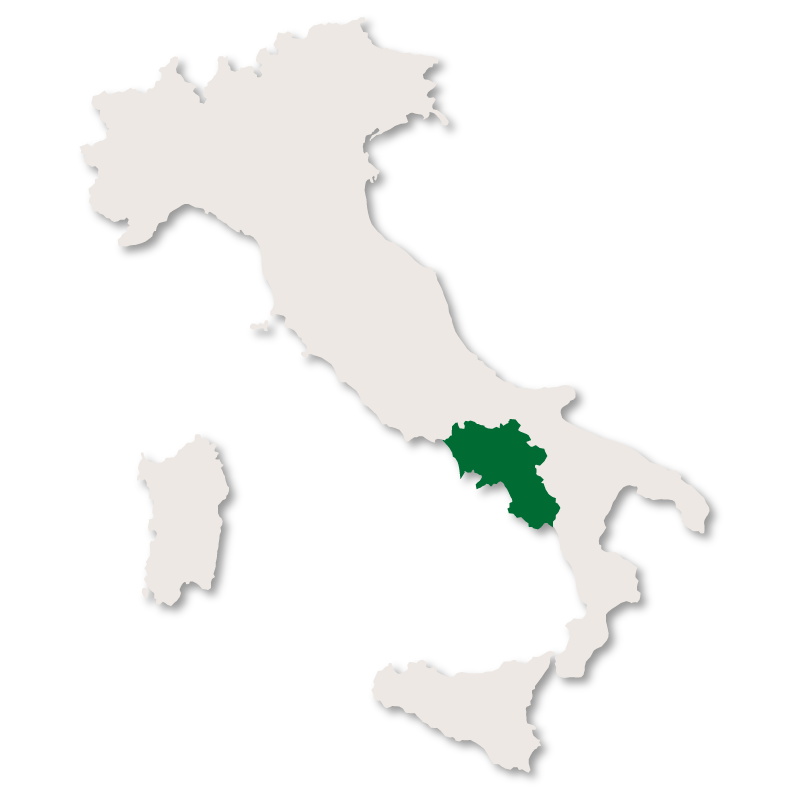 Calitri is in the south of the region of Avellino close to the borders of the regions of both Puglia and Basilicata. The old historic centre is called 'Antico Borgo' and at the highest point there are the remains of an early 12th century. The Antico BorgoBorgo itself is a labyrinth of historic houses which have, over the centuries, been built into the hillside. The tiny streets are all interconnected by steps, made of either stone or marble, many of which pass under old stone arches. 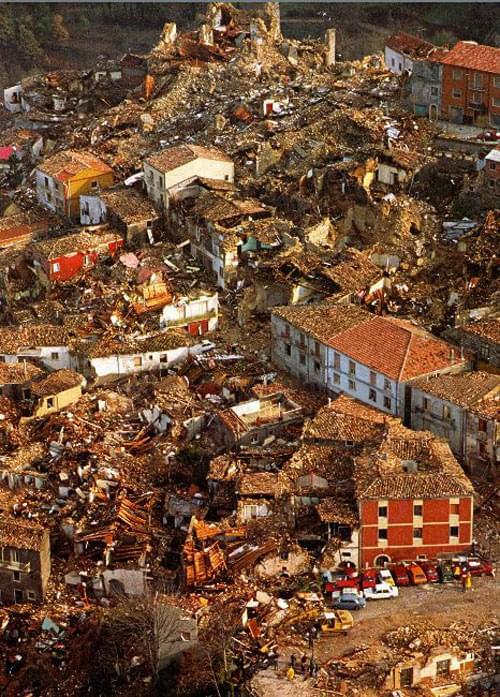 Again, as with all other villages and towns in this province, Calitri suffered badly under the 1980 earthquake and is still only partially rebuilt. During the renovations alarge, underground, domed ice house has been discovered and is currently being refurbished. Gesualdo is commonly known as 'The City of the Prince of Musicians' in honour of Carlo Gesualdo who was the Prince of Venosa, a composer and a musician. The old medieval centre which was completely destroyed during the earthquake and then left abandoned for many years has been fully restored and is quite beautiful. The many buildings are connected by pretty streets and squares with fountains creating an atmosphere of peace and warmth. The Castello di Gesualdo was built by the Lombards in the 7th century and then enlarged by Carlo Gesualdo in the 16th century. The Chiesa Madre di San Nicola is a 12th century church, agian enlarged in the early 17th century before being rebuilt in the baroque style in the 18th century. The Chiesa del Santissimo Sacramento is an 18th century church with a unique architectural strucure and commonly knows as 'Cappellone' which means 'Great Church'. 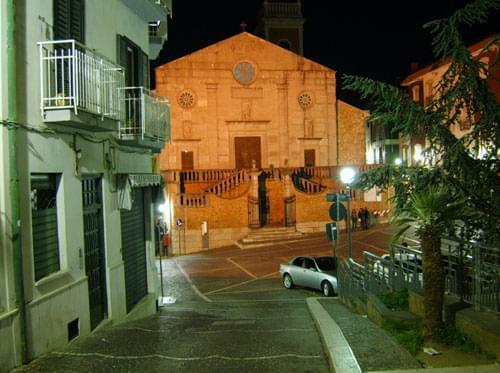 The Chiesa di Maria Santissima Addolorata was built in the 17th century, enlarged in the 19th century and inside has an 18th century pipe organ sitting on the balcony over the front door. The Convento Cappuccino di Santa Maria delle Grazie is a Capuchin Friary, founded in the 16th century. Padre Pio was there in the 1909 as a young theology student. Here there is an old town and a castle as well as the Church of St. Maria Maggiore, the Chapel of Mary of Constantinople and the Sanctuary of Santa Felicita. Just outside the town is the archaelogical site 'Vall d'Ansanto' with its small sulphurous lake which literally 'boils, due to the gas emissions coming from the subsoil. This small village was completely destroyed in the 1980 earthquake and was never rebuilt but left abandoned and a new village was built nearby. Solofra is famous for the tanning of leather and the trade has continued and there are now over 200 tanneries in the area. The quality of the leather is so good that it is considered by many to be the best in Italy. Lying in the south of the province of Avellino right on the border of the region of Basilicata, Teora is another small village which suffered badly in the 1980 earthquake. In spite of the destruction caused it has been rebuilt and renovated and there are some surprising buildings to be found here. As well as some unusual architecture there are also some curious traditions which take place in this pretty village. The Corona Flour Mill has been unused for over 50 years. It is located on the edge of the historical centre but its exact age is unknown. Sadly the cental part of the mill was destroyed in the 1980 earthquake and has not, as yet, been renovated. The Fountain of Monte was built in the 12th century and is also known as 'Fountain of the dead men' for reasons unknown. The Fountain of Piano was originally a public washhouse and is divided into three parts by pillars. The water flows from the mouths of five masks and into three baths which rest against the wall. The Stone of the civil weddings is actually a thick slab of rock supported by two stone pillars and is situated in a public square. It is used for the signing of documents for all the civil weddings in the village. There is no documentation stating when or why this tradition began. Another strange and ancient tradition, again to do with weddings, states that the groom has to serenade his future bride the night before the marriage. The groom, accompanied by local singers, stands under the window of the bride and sings until she responds by turning out her light and coming on to the balcony as a sign of approval. Festivities, singing and dancing then continues in the bride's house for the rest of the evening. In August every year the whole village takes part in the Festival of Serenades. This requires five local girls to each stand on a balcony decorated with geraniums and to wait for their loved ones while musicians continually play love songs. Eventually the five men appear and climb up a rope to give their prospective ladies a red rose. On November 11th a large potato pie containing one small coin is baked and eaten. Whoever finds the coin in their portion of pie gains the right to choose the menu for the next big event which is held on November 21st.